The Decathlon is the biggest sports store present in almost all the metros. In Bengaluru, it is present in all main corners of the city catering to varied sports requirements of the sports persons. 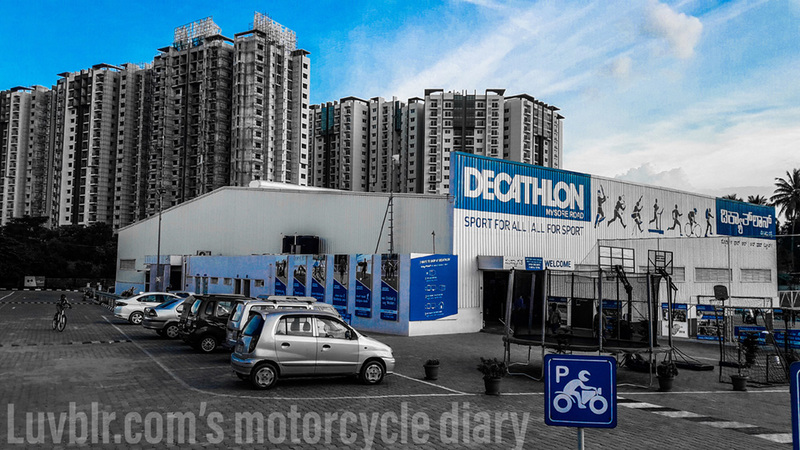 Last week I visited the Decathlon in Bangalore Mysore road. I was on a solo ride in my Bullet 350 to Mysuru when I stopped at Decathlon to buy a rainproof jacket. I had to buy just one jacket but spent more than an hour browsing every sections of the store. This post marks the start of my “Motorcycle Diaries” in this blog. Thank you for reading and I suggest you to follow the label "RIDE 001" to see what I did last weekend in Mysore. Please do comment your suggestions.